A leading engineer of his day, Carrier filed more than 80 patents over the course of his career. 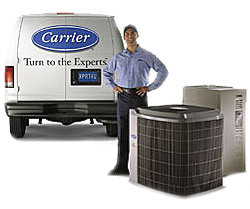 To celebrate the 110th milestone, the company launched a new website,www.WillisCarrier.com, in April dedicated to its rich history, and containing little-known vignettes about Willis Carrier’s life and work. In June, the company released its newly commissioned 144-page, hardcover book, called Weathermakers to the World, now available on Amazon.com, which chronicles the entrepreneurial spirit of Willis Carrier and the robust history of modern air conditioning.